← 97. Sexuality; How Free are You? High blood pressure develops when your heart squeezes too intensely. Your heart pushes too much blood into your arteries. Your arteries come under increased pressure and if this goes on for a number of years, it can have dangerous consequences. But this doesn’t have to happen. The trick is to get your blood pressure back to “normal”. That works better if you deal with the causes of high pressure. 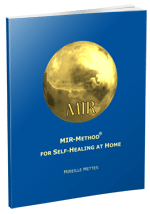 With the MIR-Method, for example. Maaike wrote: My blood pressure is still good, thanks to the MIR-Method! 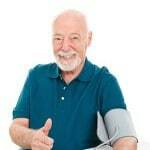 I feel great, and I highly recommend MIR-ing before going to sleep for a wonderful night’s sleep.” Read more about this and other testimonials about high blood pressure. Why does your heart squeeze harder? The beating of your heart is a downright miracle. What causes your heart to beat for the very first time is still a mystery! Your heart beats totally independent. The brain has nothing to do with it. The heart does it all by itself. Why does your heart start to squeeze harder? Research of the Heart Math Institute in California has shown that your heart can feel approaching danger, even before your brain registers it! As soon as your heart discerns it, it gives your kidneys a signal to produce more rennin and a fight or flight response is activated. Your body wants to react to the threat! If you feel threatened or are very angry, you will want to fight or flee. To be able to do that, your arms and legs need to be extra strong and therefore need to receive a lot of extra oxygen-filled blood. Your adrenal glands produce extra adrenalin. This substance causes the small arteries to contract, which enables the larger arteries to quickly provide your muscles with oxygen. Your blood pressure rises as the smaller arteries contract. If you often find yourself in situations where you are afraid or angry, it can cause high blood pressure. Take a work situation, for example, in which you are afraid of a boss, colleague or client or when a partner dominates you. Or when you continue to live with strong anger because you feel that an injustice has been done to you, or helpless rage because someone didn’t want to be with you anymore. High blood pressure is not good for your health. It’s wonderful to read people’s reports about their blood pressure going down through doing the MIR-Method. How is that possible? One of the reasons is that the internal sense of insecurity that they always feel lessens. That happens during the stroking of the hand, because you are reassuring yourself. It also happens by getting rid of old memories of events that still make you feel afraid or angry. Through step 3: ‘Detach father. Detach mother’ old memories of frightening moments are deleted. The guarded feeling and need for “looking over your shoulder” slowly leave your system. You have more internal peace and can really, truly, relax. With step 4: ‘Clear meridians’ your adrenal glands have more support, since the kidney meridian flows freely again. The spleen and stomach meridian start to flow freely again, causing the feeling “secure on earth” to arise. Step 6: ‘Balance hormone system’ helps through the improved function of your adrenal glands, causing your blood pressure to become more balanced. Step 7: ‘Fulfill basic needs’ ensures for the fulfilling of Safety, Security and Self-confidence. These provide inner peace and your blood pressure doesn’t need to be high. Step 8: ‘Optimize chakras and aura’ assists as well. By strengthening your aura, you are less likely to feel threatened and you are better equipped to deal with the influence and emotions of other people. Chakra 1 is particularly important for your blood pressure. If you feel safer on earth, your blood pressure can go down. Step 9: ‘Clarify mission’ cooperates in a completely different way. When you are in a situation that causes your blood pressure to rise, everything in your subconscious will strive to change the situation. This may mean a change of work, change in a relationship or minimizing contact with someone. I didn’t mention each of the 9 steps above, but when you do the MIR-Method, it is important that you always do all 9 of them! And how about you? Have you noticed an improvement in your blood pressure through doing the MIR-Method? I’d love to hear about it. Please let me know about it below. Thank you! My wish for you is that your heart and kidneys cooperate together in relaxation! Most people are not very conscientious. Because they weren’t trained to behave that way. And often because they don’t care so much. Most people have lots of worries on their minds or have emotional issues. The best thing you can do is ask questions to find out why the people behave in that way. Besides that, it is important to deal with your own annoyance. Try to find out what it is inside you that makes you feel annoyed about people. That may give you more peace of mind. And you can use the MIR-Method for this.